In a candid assessment of what ails the traditional medical science of Ayurveda, Prime Minister Narendra Modi on Sunday said the biggest challenge to it is posed by the people associated with the practice itself. He said that unless those who are associated with Ayurveda fully dedicate themselves to it with all the commitment at their disposal, things will not improve. “If you are not yourselves committed to it, how will you assure the patients… If my words sound bitter, then I am following the principle of Ayurveda. A bitter pill helps,” he said. The Prime Minister was addressing the valedictory function of the 6th World Ayurveda Congress. Seeking to dispel the notion of Ayurveda and Allopathy being competing streams of medical science, the Prime Minister described Ayurveda as a way of life. A disease can be cured by Allopathy, he said, adding that if a person adopts Ayurveda, he can ensure he remains healthy and free of disease. “For our forefathers, health was a part of life. 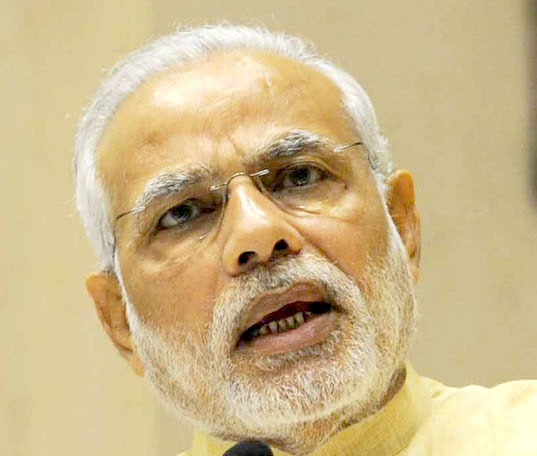 But today we have outsourced health… we consult one doctor and then the other,” Modi said. He called upon its practitioners to be dedicated to Ayurveda, not just as a profession, but as a service to mankind. The Prime Minister said that Yoga had acquired global recognition for people who wanted a stress-free life and were moving towards holistic healthcare. Similarly, if Ayurveda is presented in the right spirit as a way of life it, too, can acquire acceptance, he said. Ayurveda is our heritage and we will have to learn to present it in a language which is understood by all, Modi said while making a suggestion for improved “packaging” of Ayurveda medicines which can be consumed easily by people. “Today, no one has the time to boil herbs… people want pills,” he said. Modi also suggested that 10 to 20 per cent of the space in international medical journals should be reserved for research papers on Ayurveda so that they catch the attention of experts the world over. “For global acceptance, we have to create a place for it (Ayurveda). We will have to work hard,” he said. But the effort for that has to come from the practitioners and researchers of Ayurveda, he said. Modi cautioned that big pharmaceutical companies will not allow Ayurvedic medicines to come to the mainstream while stating that today, Ayurvedic medicines are referred to as “supplements”.